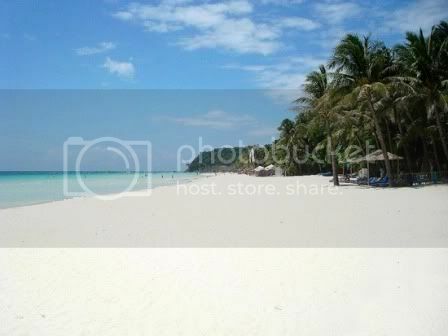 Boracay Island as the number one beach destination of 2007. This Philippine island paradise has awed many visitors with its powder white sand, tropical palm trees, and crystal blue waters. Coupled with a vibrant night scene for party- goers, Boracay Island has put the Philippines in the tourist map. The most famous part of the island is the White Beach, which is divided into three stations, each catering to a different kind of market. Dotting the 7 km stretch of fine white sand are various resorts that meet every visitor’s lifestyle. The surrounding water is shallow and the sand is finer and brighter than most beaches in the archipelago. Arrive at Kalibo or Caticlan Airport. Meet and transfer to hotel to check in. Enjoy free time to relax or do your own leisure. Overnight stay at the hotel. After hotel breakfast, enjoy free time on own leisure or join optional tour. **Send us an email for optional tours. After hotel breakfast, enjoy free time until check out from hotel and transfer to Kalibo or Caticlan Airport. Child Policy: 2 years old and below - Infant / 3 - 11 years old - Child / 12 years old and above - Adult. This is for FIT (Frequent Individual Travellers) booking only. All transfers and tours are on seat in coach basis. Only 1 (one) baggage is allowed per person. In case of more luggage and transport is not enough to accommodate guests and request for another transfer to accommodate, additional charge for transfer will be billed directly to the pax who exceeded their allowed baggage. Package is applicable for local residents only. All foreign passport holders will incur a surcharge which depends on their nationality (TBA by the hotel). Failure to advise/inform us upon finalization of the booking, it will be automatically charged to the account of the agent. We cannot collect directly from the pax, it is your responsibility to inform them of such. Booking must be sent at least 10 days prior to departure. Failure to pay by the dateline set on our official confirmation will result in auto release of all confirmed services. Any re-instatement of booking will be subject to package availability. Please remind the guest(s) that they should be in the lobby on time for the city tour/departure airport transfer pick up. We will not be held liable if they fail to catch the seat-in-coach resulting to their failure to join city tour or the departure transfer pick up and no special transfer will be provided. In case of force majeure eg. Emergency, accident, storm, rally, typhoon etc. which are beyond our control, VIA Philippines will not be liable to any surcharges/penalties imposed by the hotel and other suppliers.